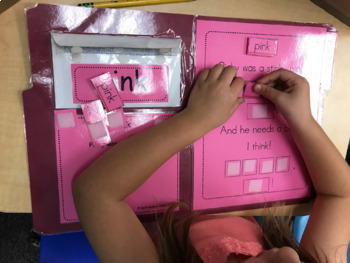 This project is designed to provide a hands-on way for children to practice reading and building the given sight words without ever needing to use a pencil or crayon. 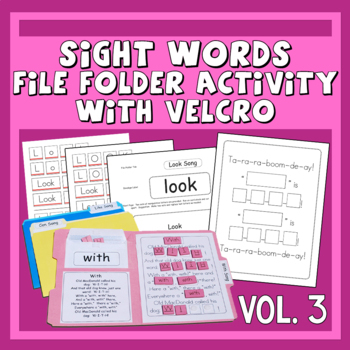 Download contains PDF project files for all of the sight words found on Sing & Spell Vol. 3 with instructions for use. To build it, simply print, cut, glue onto a file folder, laminate, and add velcro. This is a great addition to your Language Arts program and perfect for children that hate pencil and paper work, but still need the experience of completing a spelling worksheet. It also makes a great independent language arts word work center that can be re-used often!